Applications are invited for a postdoctoral scholar position in computer science to join Eindhoven University of Technology. Successful candidate will have funding to work and study for 2 years in Netherlands. Applicants should apply as soon as possible. 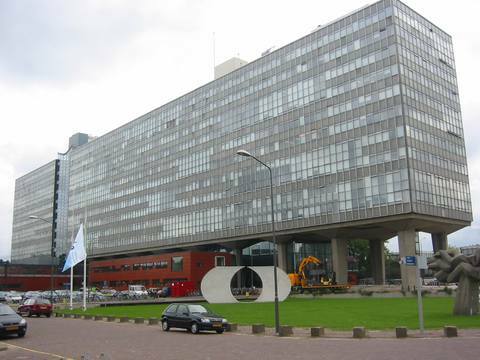 Eindhoven University of Technology (TU/e, https://www.tue.nl/en/) is one of Europe's top technological universities, situated at the heart of a most innovative high-tech region, with a wealth of collaborations with industry and academic institutes. In 2017, TU/e was ranked 15th in Europe in the Times Higher Educational World University ranking for Engineering and Technology. TU/e has around 3,000 employees and 2,300 PhD students (half of which international, representing about 70 nationalities). The envisioned research is part of the recently granted ECSEL project FitOptiVis, coordinated by Philips Healthcare. The objective of FitOptiVis is to develop an integral approach for smart integration of distributed image- and video-processing pipelines for cyber-physical systems (CPS) covering a reference architecture, supported by low-power, high-performance, smart devices, and by methods and tools for combined design-time and run-time multi-objective optimization within system and environment constraints. In today's CPS domains such as healthcare, high-tech equipment, and robotics, efficient image and video processing plays a crucial role. The challenge is to ensure low latency, high-performance, and energy efficiency. The trade-off among these conflicting design objectives is key in the design decisions. This calls for a new paradigm of combined model-driven design-time and runtime multi-objective optimization that is specifically targeted for distributed imaging and video-processing pipelines within CPS. The PostDoc in this position will, in collaboration with three PhD students working on the project, realize a model-driven quality and resource management framework based on the Pareto algebraic model for composable runtime decision making using the a number of parameterized component abstractions. The framework should support workload adaptation and redistribution of resources to adapt to changes at runtime. The framework should further provide support for distributed decision making in the networked system. The integrated design time and run-time decision making framework to be developed should provide protocols to decide among various trade-off possibilities between resource usage and application quality, including admission control. This framework needs to be integrated in the FitOptiVis reference architecture. A prototype implementation, based on the CompSoC platform (http://compsoc.eu/), needs to be developed to demonstrate its applicability in high-throughput, low-latency image-based streaming applications and control. We are looking for highly motivated candidates with good English proficiency. Candidates need to have obtained a relevant PhD degree (Computer Engineering, Informatics or Computer Sciences, Electrical Engineering – ideally with focus on Embedded Systems or Cyber Physical Systems). Candidates must have strong analytical skills, affinity for formal models and semantics, algorithmic solutions, and software engineering practices, as well as good programming skills in C++. We offer a challenging job in a dynamic and ambitious university through a fixed-term appointment for a period of 2 years. As an employee of the university you will receive a competitive salary as well as excellent employment conditions. The salary may vary between 3173.- and 4166.- per month (gross), depending on your experience. Moreover, an 8% holiday allowance and 8,3% end-of-year allowance is provided annually. Assistance for finding accommodation can be given. The university offers an attractive package of fringe benefits such as excellent technical infrastructure, child care, savings schemes, and excellent sports facilities. If interested, please use ‘apply now’-button at the top of this page. You should upload the following: Candidates will be selected based on graduation mark and proficiency at university including consideration of the reputation of the university, relevant experience and skills, writing skills and publications, work experience as well as performance in relevant modeling exercises and interviews.